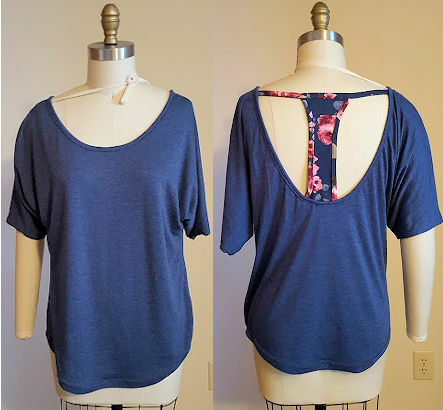 I finally settled on a fabric for my latest cold shoulder style top (you can see my previous versions here and here), reprinted the pattern, changed serger threads (is there anything worse? ), and cut the fabric. I had hoped to have the whole top finished by today, but I’ll be honest, this fabric is a booger to work with. I picked up this floral-ish print from Joann’s because I was too impatient to wait for something to ship and it was the closest in color (and sort of had the same kind of ‘vibe’) as my inspiration top. It also has a great drape, but is almost slippery to sew. 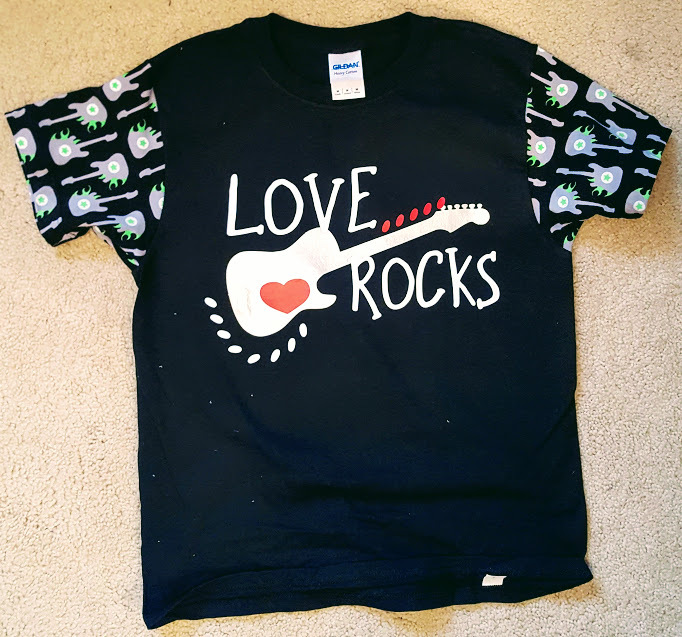 Thus far, I have the front and back together and one sleeve…. so definitely slow progress. I’m hoping that I’ll finish today and have the opportunity to at least cut out the lace up work out pants that I mentioned in last week’s Linky Thursday (the site if finally working today). This entry was posted in Uncategorized on February 28, 2017 by stacy. 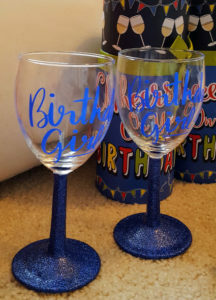 A coffee mug with a “This Might Be Wine” decal on it and then finally put those glittered wine glasses to good use by embellishing them with a “Birthday Girl” emblem (I also managed to find a “Happy Birthday” wine glass holder and a fun wine themed coaster too). So, no sewing this year for her birthday, but I did have just as fun making these! This entry was posted in Uncategorized on February 27, 2017 by stacy. After my last cold shoulder top, I swore that it would be my last – because who really needs several of these in their closet? Apparently, I was wrong. I totally need another one. I recently saw an photo from a favorite little boutique and fell love with it – in fact, I fell in love with the whole look (there were shoes posted with it, too). Unfortunately, I trashed my Anniversary Top pattern, thinking I would never use it again. So, my mission this weekend is to reprint everything and find a fabric that has a similar vibe to this one. Hopefully, I’ll find something locally that will work so I can work on this over the weekend. What’s your sewing mission this weekend? This entry was posted in Uncategorized on February 24, 2017 by stacy. 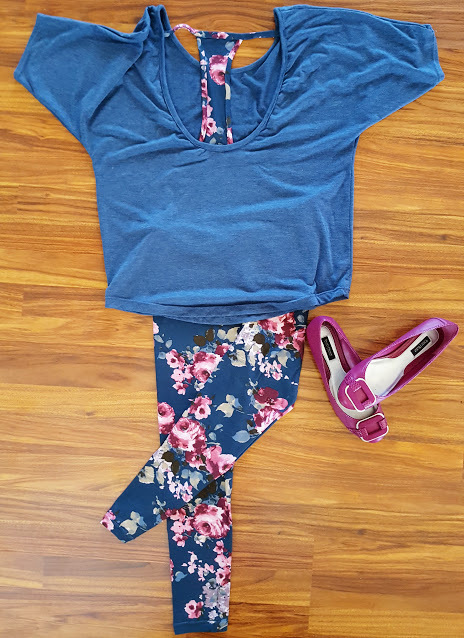 Activewear doesn’t have to be boring. Learn how to make these fabulous faux lace up workout pants. Stay warm and look fashionable when you whip up this easy blanket scarf. Whether you’re a crazy for cats or just love fun pillows, this no sew cat pillow looks easy to make! Need an extra dose of cat goodness? Be sure to check out this cat backpack. Stay organized while on the go with this handy tutorial. It has pockets for electronics, paper, pens and more! These Ouch Pouches are the great for moms with little ones or a quick ’emergency’ kit for the car or even a cute way to store loose medical supplies. Even if you hate homework, this cute little study pillow might motivate you to work on it! Any Star Wars fan would love this felt storm trooper. Transform a boring composition notebook into something adorable! Need a cute way to tote your potluck dish, but you need it fast? This little casserole carrier takes only 20 minutes to make! The no-calorie way to enjoy your donuts – pillow donuts! This entry was posted in Uncategorized on February 23, 2017 by stacy. After making the Highlander Dolman, I determined that I needed a pair of matching leggings. 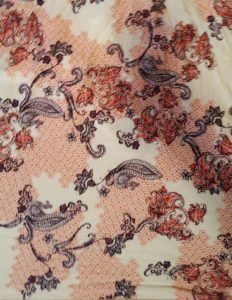 So I used my double brushed poly floral print and my favorite Jalie legging pattern. I don’t think that I can say any more about this pattern that I haven’t already covered, but I can say that this double brushed poly is actually more comfortable and softer than my LuLaRoe leggings. In fact, if I modify the waistband some to eliminate the elastic, they would be even more better! 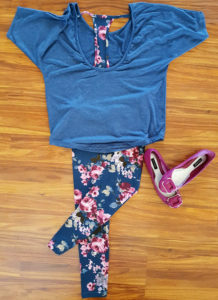 So, now I have a pretty fabulous coordinate set (and even had shoes to match) that I am sporting today for parent-teacher conferences. Surprisingly I had enough of these fabrics left over to make a cute project for a pattern test, too…. but more on that next week! This entry was posted in Uncategorized on February 22, 2017 by stacy. While I am always excited and proud of the projects I put out, there are a few that I totally fall in love with at the end. 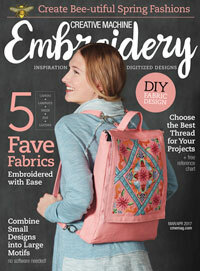 My 4 Corners Convertible Tote, which appears in this month’s Creative Machine Embroidery Magazine is one those projects. 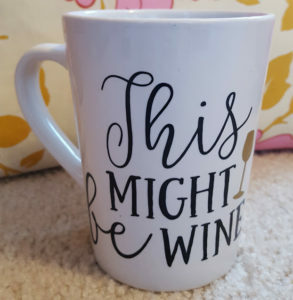 First off, let me say, you don’t have to have an embroidery machine to make this project. I tried to write it in a way so that if you don’t have access to an embroidery machine or have a piece of material that you really wanted to use for the flap, you could easily substitute it (you could also make the bag in a leather and it would be fabulous as well). So what do I like so much about this bag? Mostly that it looks very complicated, but is so easy to make (if you make it and think otherwise, please let me know, though!). 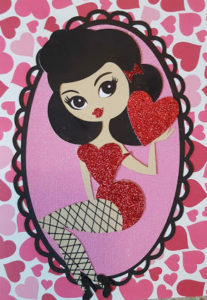 The embroidery designs do not require rehooping and are actually pieced together and embellished with ribbon to make a larger design AND the sewing isn’t difficult (especially for a bag), either. The final product can be carried in a variety of ways, too: as a backpack, sling bag, tote, or like a briefcase by using the grab handle on the top. Now what are you waiting for? Go out there and pick up this issue! And as always, if you wind up making this one, let me see pictures of your final project! This entry was posted in Uncategorized on February 20, 2017 by stacy. While surfing around last week, I saw that Striped Swallow had released a new pattern set. I wasn’t too keen on the joggers, but I totally fell in love with the Highlander Dolman – it’s one of those patterns that looks fairly ‘ordinary’ in the front, but has a great back…. so of course, I snagged it. I’m trying very hard to make sure that I use the patterns that I get in a more timely manner, so yesterday, I decided to sew it up. After a lot digging through the stash, I finally settled on the double brushed poly coordinate set that I recently purchased from Knitpop. As for the pattern itself, it was very straightforward and easy to sew. I’m not a fan of how the bindings were attached to this shirt (back strap, t-band, & neckline), but that is totally a matter of (my) preference. The overall fit is great too. I was a bit concerned seeing how large the back cutout was (I went with the larger of the two so it would show off the floral design of the fabric better), but the top doesn’t want to slip out of place and it does look very dramatic when worn. I would definitely recommend using a fabric with great drape (which is listed in the pattern instructions) – anything stiff or heavy for the body of the top would look unflattering in the end. Now that this is done, I’ve decided I need to make a matching leggings with the rest of my floral double brushed poly. Stay tuned for a complete look next week! This entry was posted in Uncategorized on February 17, 2017 by stacy. Not only can you download the latest issue of Blossom for free, but on page 141, you can get a code for a free Amy Butler pattern as well! Sew a new pair! The Celeste is a pretty new bikini pattern from Ohhh Lulu. Protect your laptop with a padded sleeve. This one even has slots for pens, too. Not only are these baskets a hearty size for storage, they fold up flat when not in use, too. 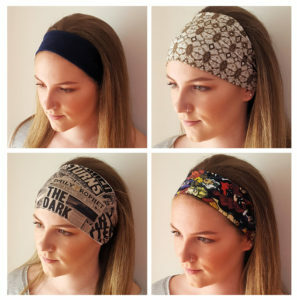 Never have your headband slip out of place with my latest tutorial at WeAllSew (just in case you missed yesterday’s post). Change out your purse for something new like this Lauren Handbag. So many aprons look alike, but this Empire Waist version is a slightly different take (with a fun, fabric flower embellishment). Have a little girl that loved Trolls? Learn how to make a fun headband inspired by the movie. The slouchy tee is perfect for lounging around on the weekend or for an easy to wear casual look. Admittedly, I am not good with plants, but I could definitely keep this cute cactus pincushion alive! Whip up a color blocked, cowl neck, raglan hoodie (the site will need to be translated) and stay cozy this weekend. 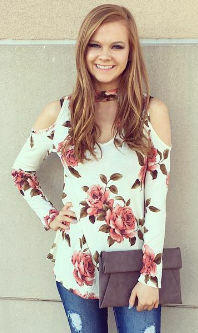 Learn how to make a beautiful, loose fitting raglan top. This entry was posted in Uncategorized on February 16, 2017 by stacy. Tired of headbands that constantly falls out of place? Looking for an accessory that can match your wardrobe? Then head over to BERNINA’s WeAllSew for my latest tutorial – a non-slip headband! This headband can be worn in a variety of ways – thick, thin, over your ears, even as a cowl. Plus is very simple to make, is great for scraps of fabric, and is perfect for beginners! Never pay for those expensive, designer bands ever again – just make your own! This entry was posted in Uncategorized on February 15, 2017 by stacy.